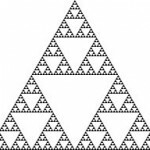 Links to a few choice essays on mathematics, teaching math, and the philosophy of math can be found below. If you are interested in these and other writers, check out our Math News and Media page. If you have a suggestion to add to this page, please contact us.